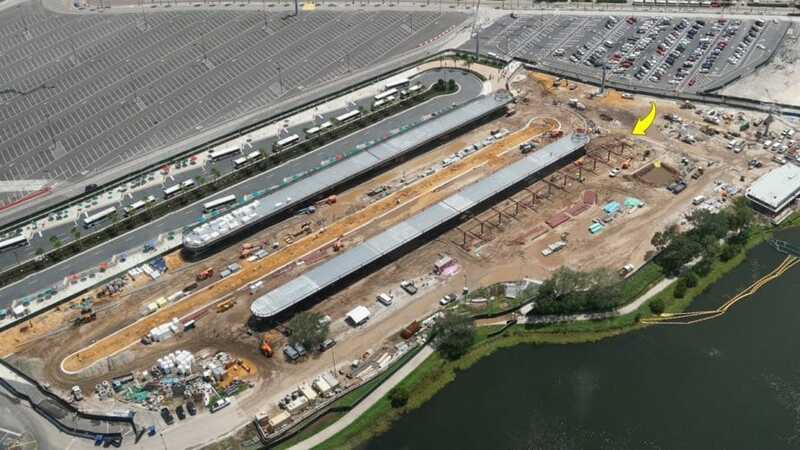 Starting outside the park we can see the third bus loop currently under construction. This area used to be the Preferred Parking and Handicap Accessible parking area. 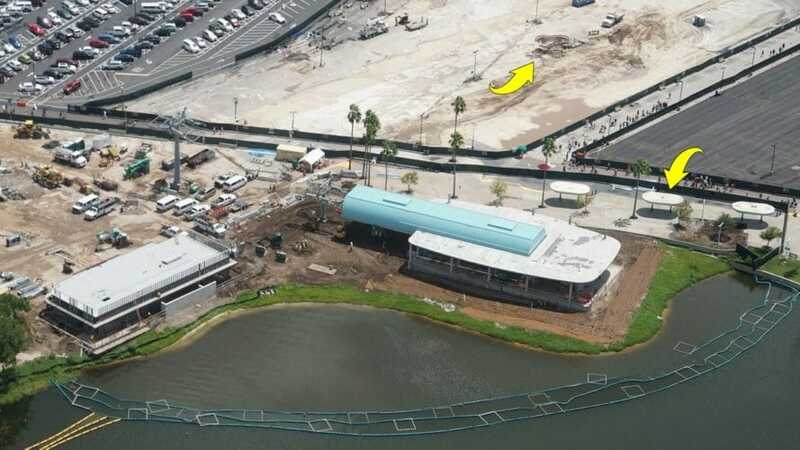 This on-the-ground angle gives another view of the current progress ongoing near the entrance of the park. Close by is the Disney Skyliner station for Hollywood Studios. 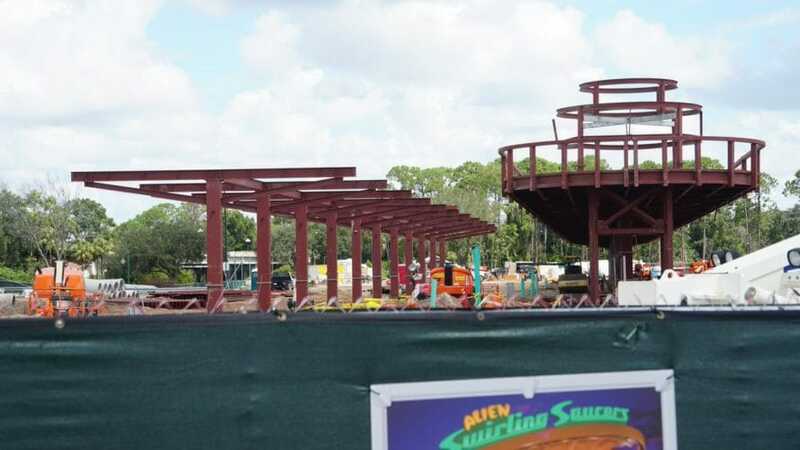 While still under construction, it certainly appears to be the farthest along of all the Skyliner stations. The two arrows point to the area where the older bus stops used to be. Some are still standing, but most have been torn down. It is expected for the rest to be torn down soon. The Disney Skyliner station itself is looking beautiful. The building in the background doesn’t have a known purpose yet. Rumors suggest that it may be a large restroom area, which I believe makes sense. 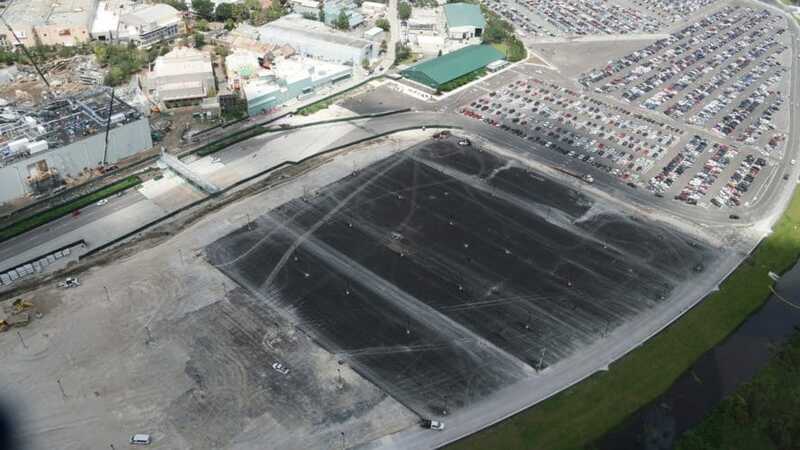 On the other side of the park, we can see even more parking being added. Disney is certainly trying to be fully prepared for the massive crowds that will be showing up when Star Wars: Galaxy’s Edge opens up. 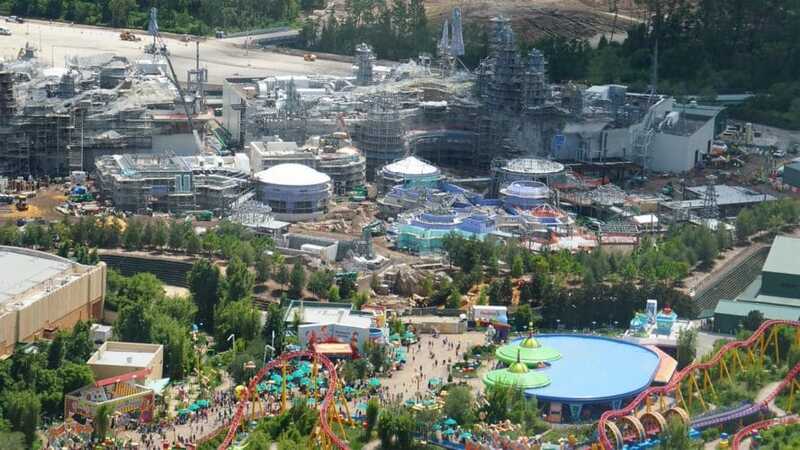 Speaking of Galaxy’s Edge, Bioreconstruct got an excellent view of the ongoing construction with Toy Story Land in the foreground. The land still has a lot more to be done, but this view does help showcase the immense size, especially in comparison to the guests. 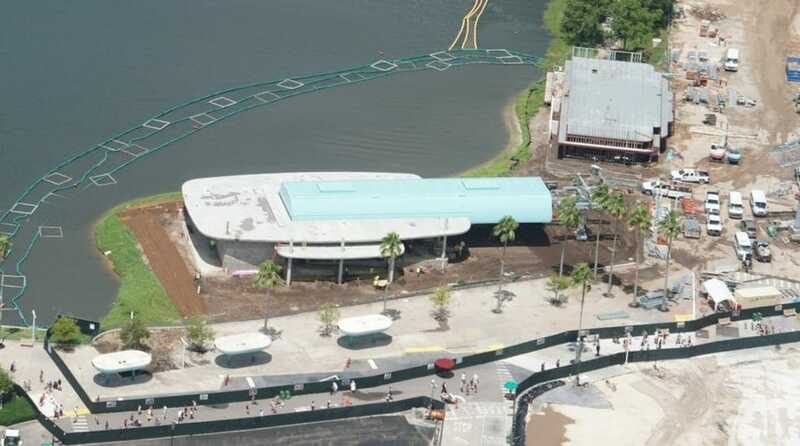 Here is a view looking at what will become the Millenium Falcon area of the land. 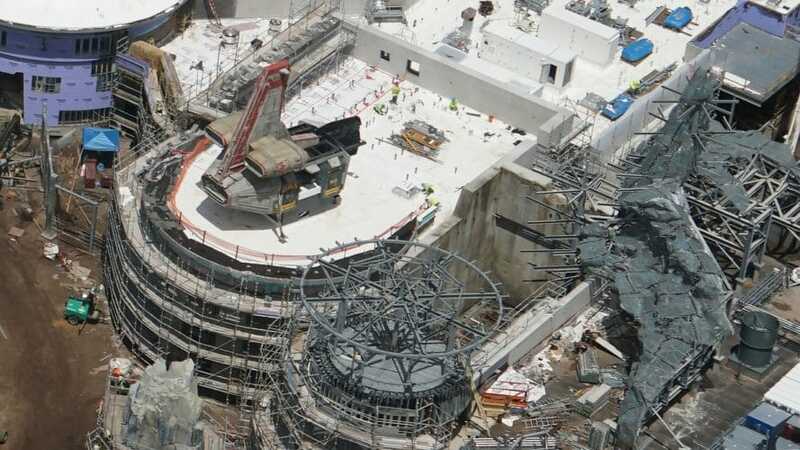 The Falcon will be resting in the open area next to the large rock facade in the middle. 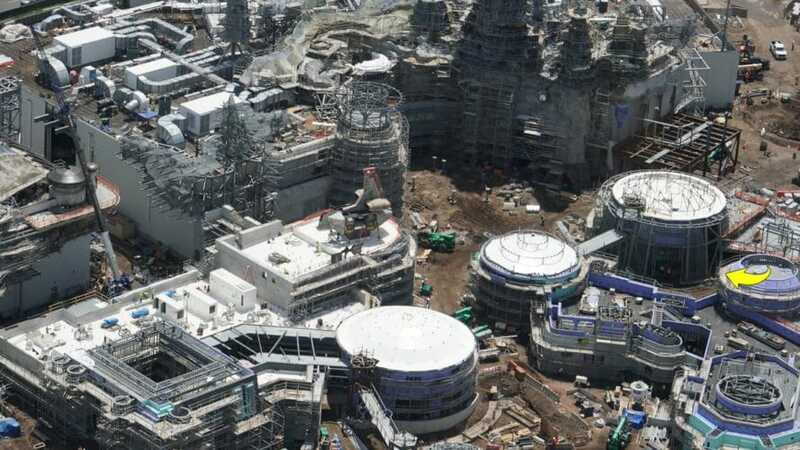 Looking closely we can see the support beams for where the Millenium Falcon will be placed. Closer inspection at the photo showcases some construction workers. Their tiny shapes help portray the immense size of the area they are in. 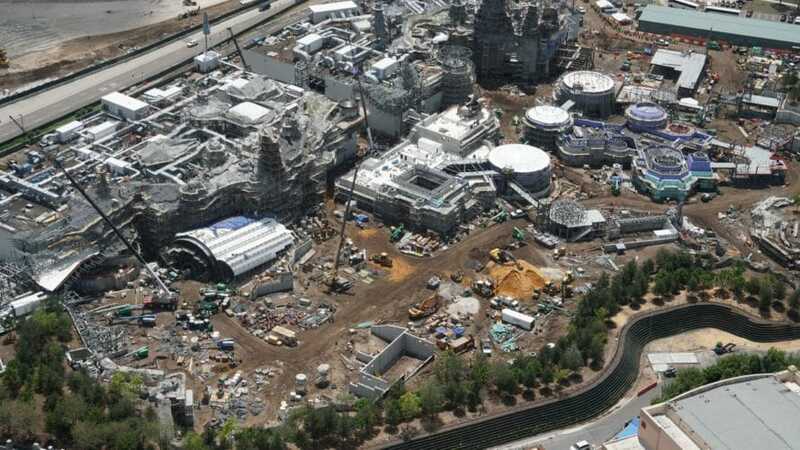 Looking at the backside of the first spaceship in Galaxy’s Edge, we can see that the ship is not yet finished. But, a nearby wall does look like it is finished for now. Perhaps it will get more adornments closer to the land opening. Looking from the backstage areas we can see plenty of HVAC work. 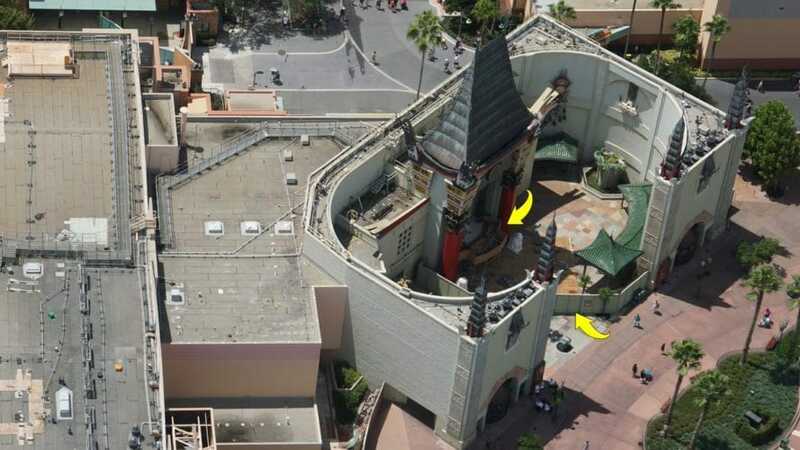 With two massive attractions, each with plenty of ride vehicles, these show buildings need as much AC as they can get. I would also guess that both attractions will also have extremely detailed queues like Avatar Flight of Passage. 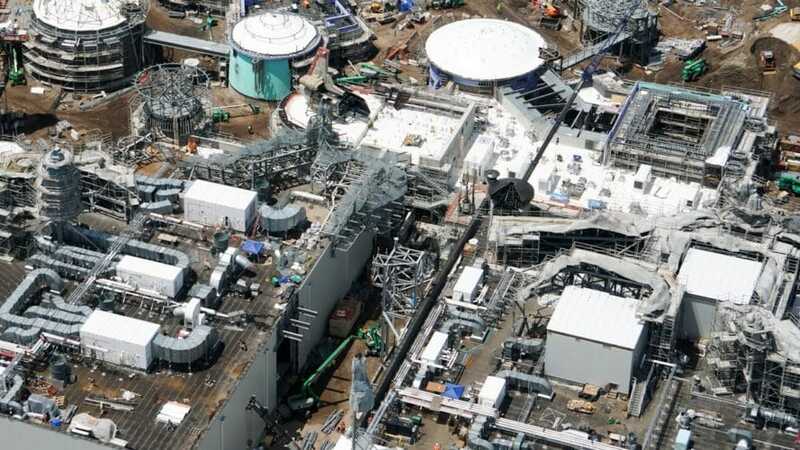 Star Wars: Galaxy’s Edge is expected to open late fall 2019 at Disney’s Hollywood Studios, and summer 2019 at Disneyland in California. Another big attraction coming to Disney’s Hollywood Studios is Mickey & Minnie’s Runaway Railway. The beloved, Great Movie Ride, was closed forever to make room for this attraction. It will be the first Mickey Mouse themed ride in the world. Arrows here point to the current work ongoing for the marquee. It appears some sort of coverage has been added as well to protect the handprints in the concrete.